Cole is the Chief of Staff to Rich Powell. He focuses on bridging policy analysis and external advocacy strategy. 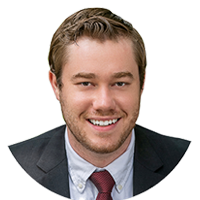 Prior to joining ClearPath, Cole was a Strategy Director at Majority Strategies where he managed direct mail, digital and mobile advertising plans for over 100 political campaigns nationwide. While studying at UNC, his academic research included nuclear security and sustainable development.